The Phillips family and Adopt-a-Family send updates on their relief efforts. Local residents are opening their homes and their kitchens to help their communities after back-to-back hurricanes Irma and Maria tore through Puerto Rico and the U.S. Virgin Islands six months ago. "Good Morning America" first met the Phillips family last year following the storms. Despite their residence being badly damaged, the Phillips family, with the help of their 12 children, have cooked 250 meals a day for the volunteers who are working to repair St. Thomas, they said. 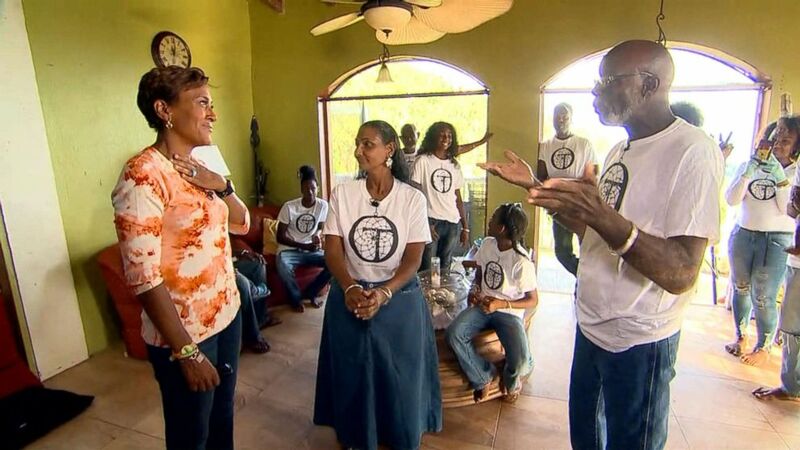 (ABC) The Phillips family is helping their community after back-to-back hurricanes Irma and Maria barreled through their St. Thomas neighborhood. "Since you last saw me, I've been cooking for a nonprofit group here on our island helping us clean up," Maekiaphan Phillips, who is employed with the organization, said in a six-month video update on "GMA." "They're called All Hands and Hearts. I try to make special dishes for them so they can experience a little bit of the Caribbean." Now working for All Hands and Hearts - Smart Response, Phillips turned her home kitchen into a fully functional commercial kitchen. "We have been cooking for 50 to 80 people every night except Sundays," she said. Erik Dyson, CEO of All Hands and Hearts – Smart Response said that the nonprofit is "incredibly grateful" for her hard work and support. 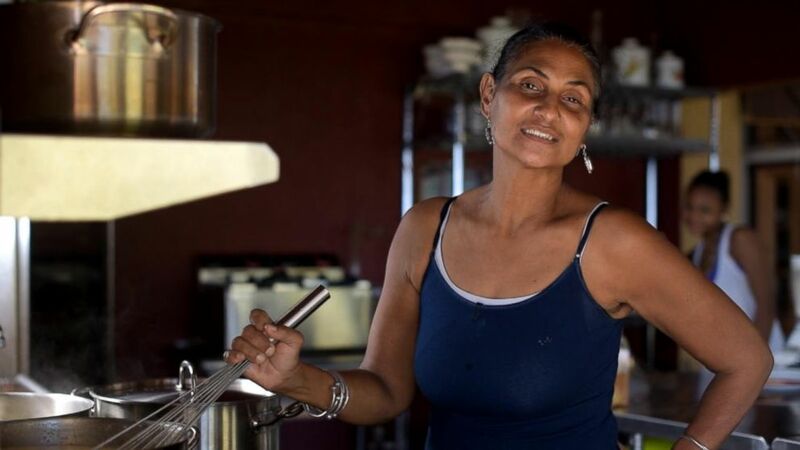 "She is an inspiration to this community and a valued member of the All Hands and Hearts team, and we could not be more appreciative for her homecooked meals that bring together our volunteers every day after their efforts to continue rebuilding after the destruction of hurricanes Irma and Maria," Dyson wrote in a statement to ABC News. Like All Hands and Hearts, Adopt-a-Family USVI is another volunteer organization which has sent supplies to thousands of families affected by the hurricanes in the U.S. Virgin Islands. "I was just sick and I said, 'We have to do something,'" co-founder Pam Engle told ABC News in November. She recalled thinking, "'If we can get 20 or 30 families covered that would be great.'" In a matter of weeks, the organization had sent supplies to more than 26,000 families. Now, as part of a new relief effort, Adopt-a-Family has since launched Adopt-a-Classroom. Although class is back in session, eight of 32 public schools in the U.S. Virgin Islands were condemned and many were badly damaged. Now, Adopt-a-Classroom is sending boxes of supplies to those schools. So far, 165 classrooms have been adopted. 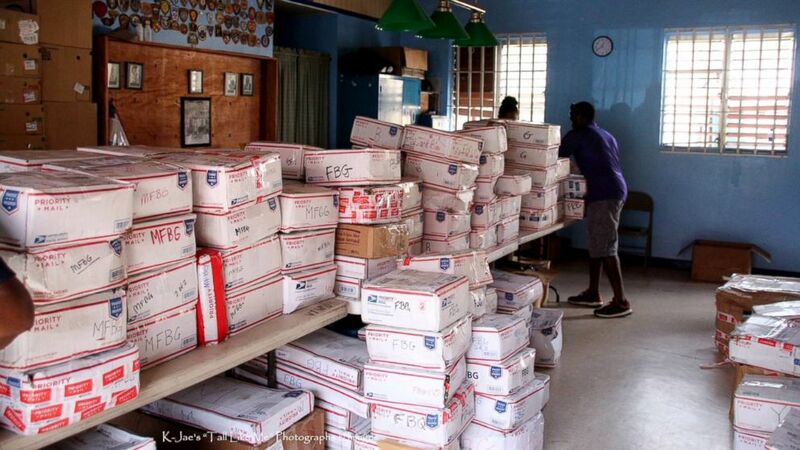 "We appreciate all your help and support and love you're going to send us in those boxes," said Juelis Hodge, assistant principal of the adopted Lockhart Elementary School in the U.S. Virgin Islands.